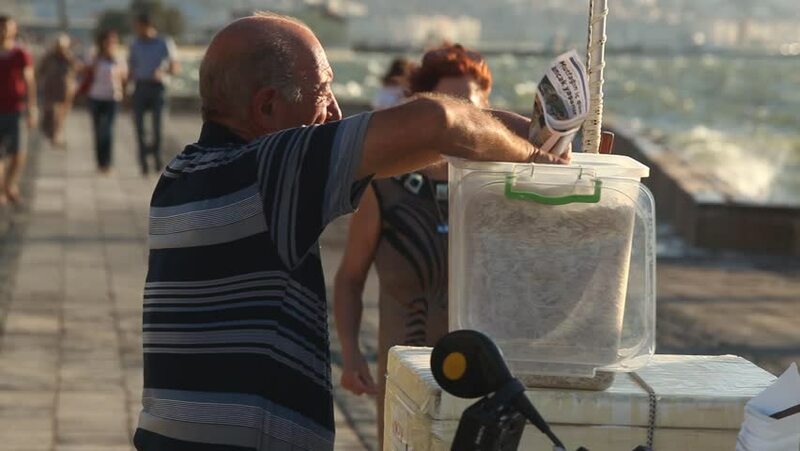 IZMIR, TURKEY- AUGUST 2015: An old man sells sunflower seed for people having an afternoon walk on the sea side. hd00:25Couple walking down the old stairs in the nature. Close up footage of a couple walking down the stairs to the old watermill in the middle of a countryside near the woods.